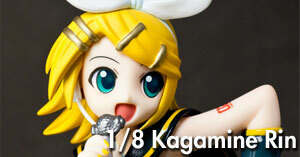 Now, I know what you’re thinking – Another Vocaloid figure review? Why not change your tagline to “Plamo, Toy and VOCALOID Figure Reviews while you’re at it?” Admittedly, I am invested a little too deeply in Good Smile Company’s line of Vocaloid figures. 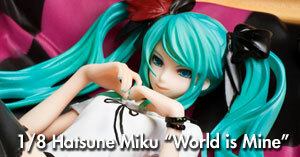 However, the subject of this week’s review – the 1/8 “World is Mine” Hatsune Miku – has a special place in my heart. Rewind to July of last year. It was a blissful summer, and I was still free of Vocaloid fever. I knew who Hatsune Miku was – a Japanese voice synthesizer program that was responsible for an empire of fan-produced songs. However, at that point in time I still did not understand her virulent popularity. Song like Levan Polka and Black Rock Shooter that were linked to me by friends sounded stiff and lifeless to me, and I had no real reason nor incentive to look into the source of Miku’s magic. Enter SEGA’s Hatsune Miku: Project Diva game for the PSP. Being the dirty pirate that I am, I decided to give the game a try since it came at no cost to me. After navigating into the playlist, I found myself tapping my way through a catchy tune accompanied by a 3D model of Miku strutting her stuff in a delightfully saucy fashion. 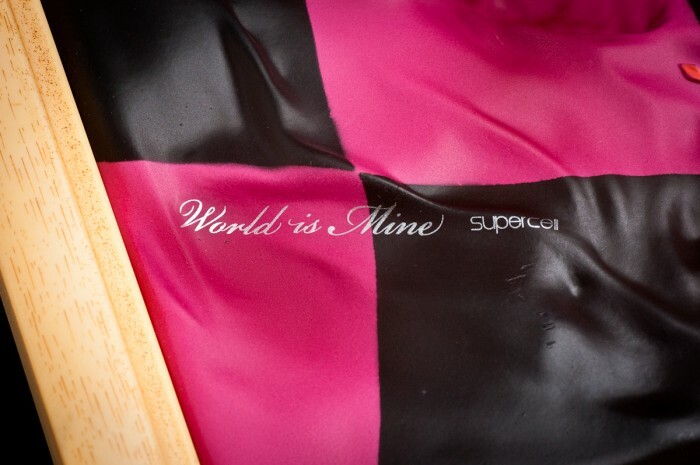 That tune was none other than supercell’s “World is Mine”. Since then, the voice of real living people have been steadily phased out in favour of my new artificial overlords, and it all started with that little song! 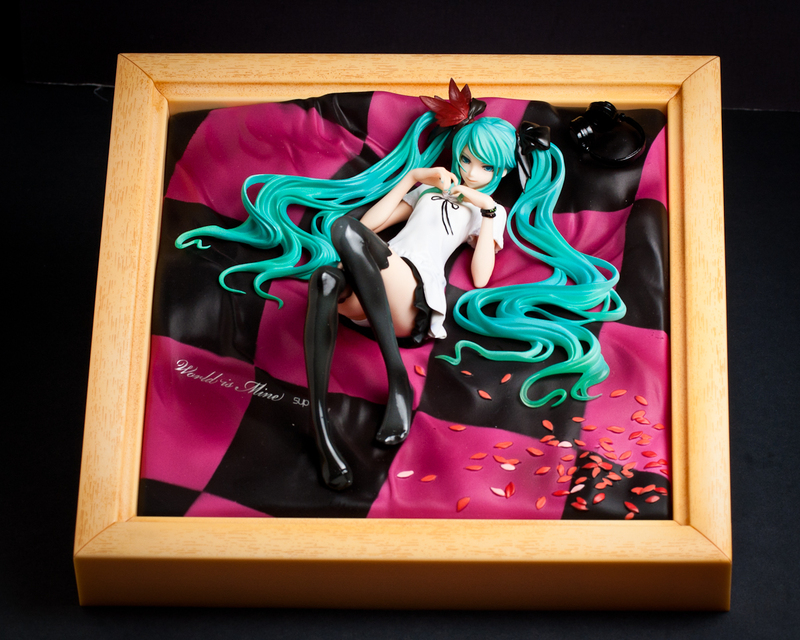 So when I saw GSC’s “World is Mine” Miku on sale for 30% off along with 50% shipping, I could not resist. Sure, I wasn’t crazy about the natural frame. Sure, I heard the quality control was lacklustre. But can you blame me? Even at the end of the day after appreciating all of this figure’s various flaws (some of which quite serious), I still can’t bring myself to override my ruling fondness for her unique presentation and features. 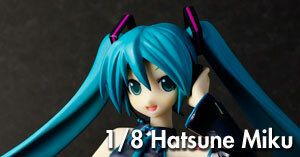 Right from the get-go, the WIM Miku oozes pure style. Its framed presentation, elaborate display base and inviting pose really give it a feel that is distinctive from all other figures. It reminds me of Yamashita Shunya-inspired figures, but the WIM Miku does not rely on realistic body proportions to achieve a mature feel. 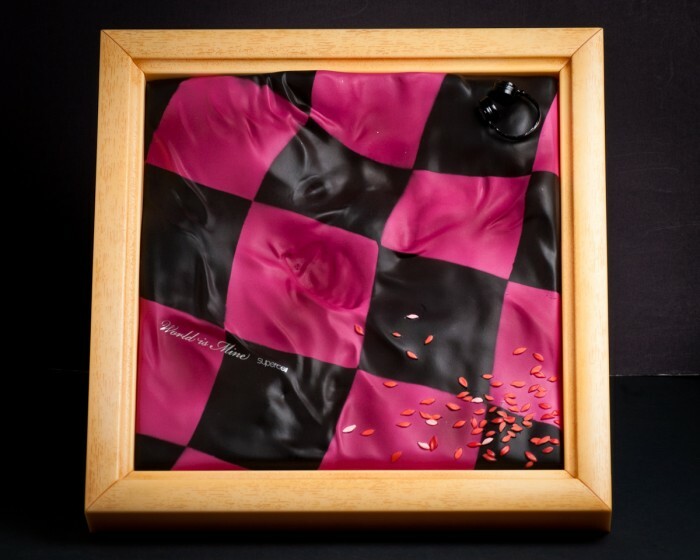 With her long hair sprawled all over a checkered sheet sprinkled with flower petals, the figure captures the princess-type character from the original song perfectly – her expression and body language practically screams “ojou-sama”. The figure looks great from a wide range of angles thanks to its comfortable lying pose – whether you observe the figure from the front or from the sides, she looks great from a distance. One of the biggest appeals of this figure is its ability to be displayed on walls, which was music to the ears of a shelf-deprived collector. 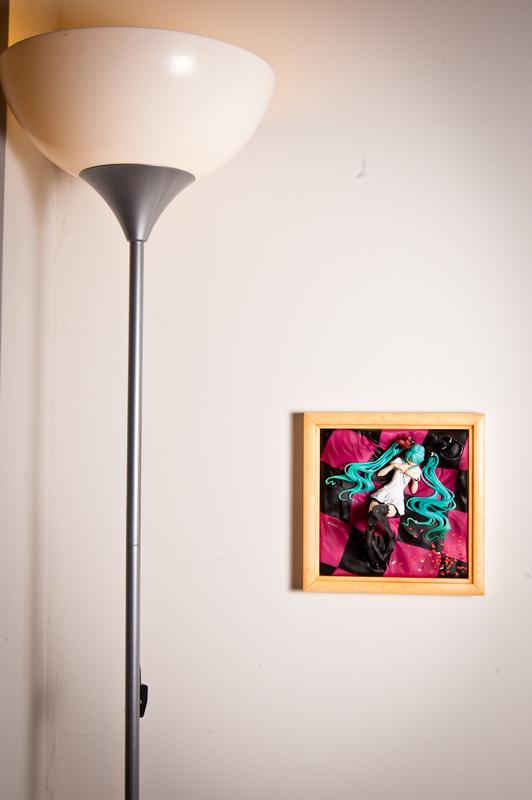 Miku is firmly secured to her display base through a number of magnets placed strategically about her body and the display base, so stability isn’t an issue. Admittedly, it’s a little hard to make out her face when she is hung on a wall, but the contours of her body and hair are in prime viewing angle. In fact, I prefer displaying her on a wall over displaying her propped up on a flat surface, mainly because she takes an obscene amount of desk/shelf space that way for a figure of her size. To give you an idea, the square frame measures 22cm (8.5 inches) on each side – enough to bite off a good chunk of your display space. 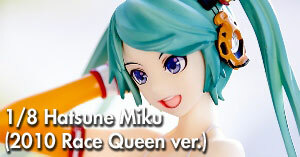 Before I get into the nitty-gritty of the WIM Miku, let’s put this figure into context. It was originally slated for an August 2009 release but was delayed twice to December 2009. What prompted Good Smile Company for the delay? 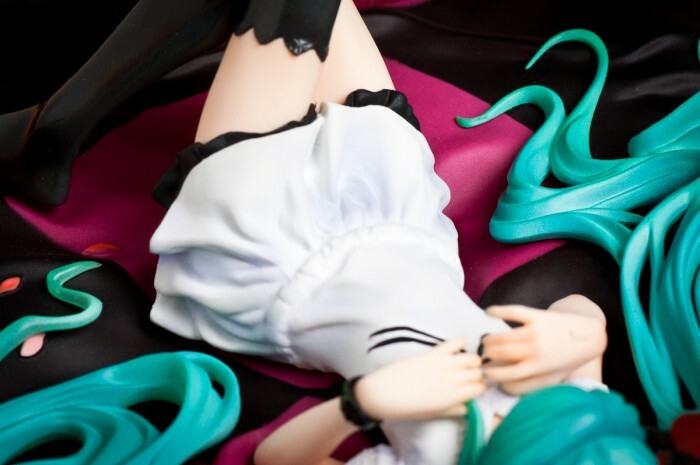 Without a concrete answer, I am left to speculate, and judging from the details on the WIM Miku, I can imagine some serious production difficulties as the reason behind the delays. 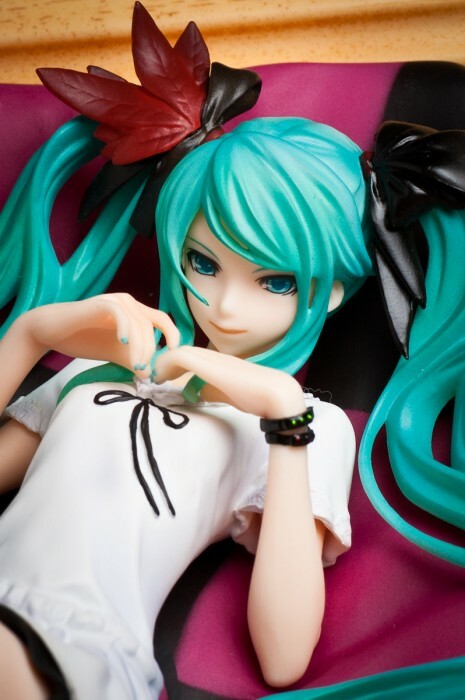 Let’s start with Miku. Thankfully, her face was spared from the fumbles of quality control, thus her sharp eyes and mischievous grin are all intact. Her hair is also mostly well-done: shading is nicely applied, the black ribbons are lovely, and the sculpt of her twin tails look amazing. The tips of her twin tails are translucent for some unknown reason, but I don’t find them at all distracting. There are a number of paint chips on her twin tails, most noticeably on her right side. Thankfully they are none too conspicuous, despite being black dots on bright teal. Things get less dandy below her neck. While there are no problems with her bracelets and teal fingernails, her blouse is pretty messy. The frills around her collar and sleeves are mediocre, and the black string ribbons on her chest are not painted very neatly and look squiggly even from a good distance away. The use of shading is also a little heavy-handed in some areas, especially on her back and around her lap – they’re just too unnaturally dark! Because a flashlight was shined directly onto the figure for these photos, the shading problem doesn’t appear to be too prominent, but you’ll have to trust me when I say they look terribly strange under regular room lighting. The back was so bad that I initially thought that paint had rubbed off from the base to her back before realising that it was like that right out of the box. Luckily, everything below the blouse looks more or less alright. The barely-there skirt achieves a very nice zettai ryouki in conjunction with her glossy black thigh-high stockings. From many angles, her tighty-whities are openly visible, albeit not in a visually jarring way. The stockings are painted in multiple tones. There are a couple of scrapes on the left knee of my Miku and an injection mark on the inside of her left foot, but they’re pretty trivial flaws in the overarching picture. 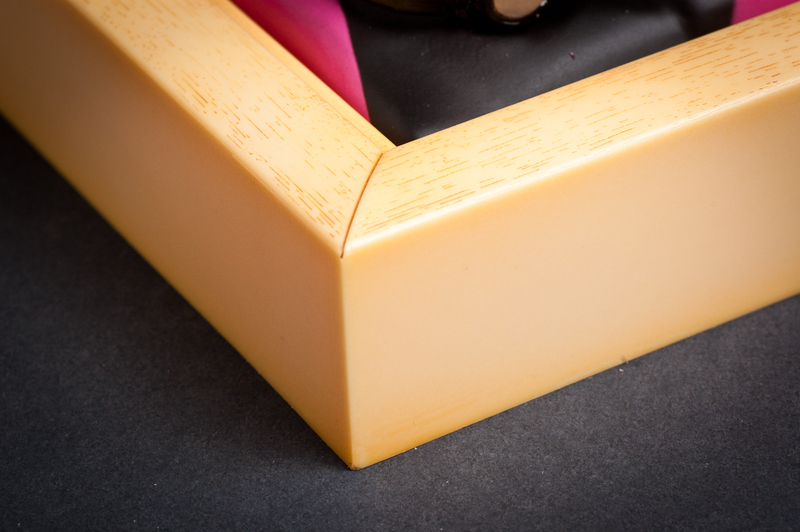 The biggest quality control problems surface when you look closely at the display base. Let’s get the things I liked about it out of the way first: it’s a very nicely sculpted, the words “World is Mine” and “supercell” are printed clearly, and the headphones in the top right corner are pretty snazzy. Jianyan actually thought the base was made of soft cloth when he first saw the figure, to illustrate a point. Unfortunately, everything else is awful. The paint is grainy, the checkers are blurry on the edges and do not match up correctly in the corners, often falling short and fusing together, and paint chipping is rampant all over the place. Many of the flower petals are overpainted or underpainted. I would compliment the shading on the base if it wasn’t surrounded by a plethora of very noticeable screw-ups. To add on top of that, the frame isn’t even wood – it’s hollow plastic! While the frontal side of the frame is given a pretty good fake wood treatment, the sides of the frame are completely flat. I understand why GSC would want to use plastic over real wood, but I can’t understand why they would purposely leave the illusion incomplete… production difficulties and tight deadlines, perhaps? Thankfully, the frame is easily removable by undoing the screws in the back. 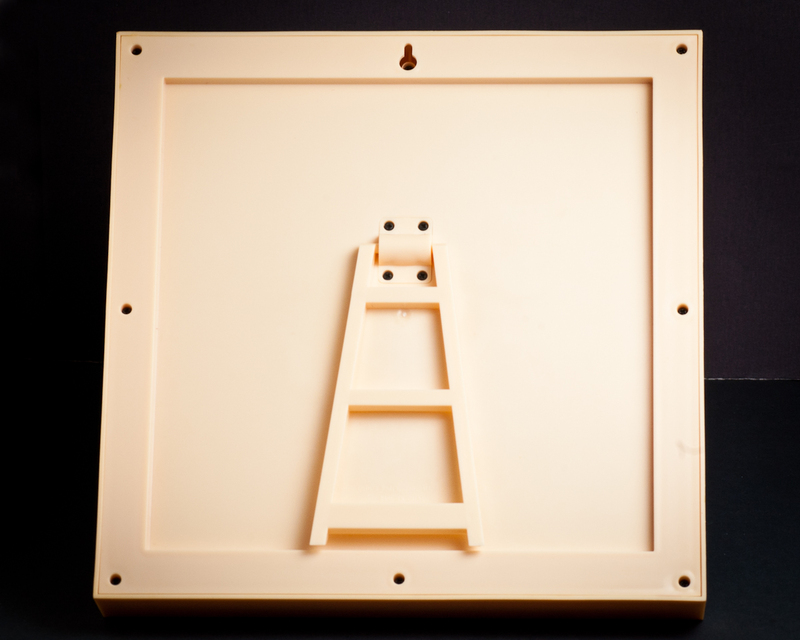 The inner part of the display base cannot be displayed independently due to the mounting strips that stick out on its sides, but should you want to repaint the frame itself, it can easily be done provided you have the right tools and know-how. I’m considering painting the frame black. I have yet to do my research, but I assume I’ll need give the frame a good sanding and prime it before spraying it with paint. If you are more experienced with this stuff, I would be much obliged if you would drop off a quick tip or two in the comment section! After all that negativity, I am pretty surprised that I am still able to look at the figure with great fondness. 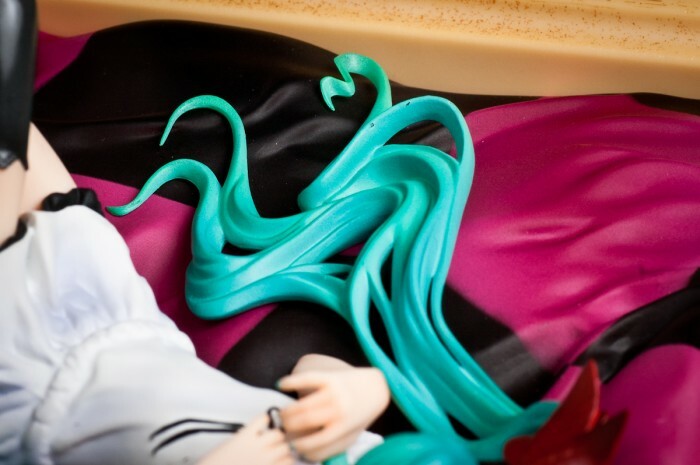 In spite of her serious flaws, the 1/8 “World Is Mine” Hatsune Miku figure is still a highly appealing piece of work. The dainty little princess is unbelievably photogenic and carries an uncommon aura about her. Maybe I’m biased due to the special place of the song in my heart, so I leave it to you to make out your own opinion based on the observations I have recorded here. To punish her for her innumerable failings, or to for step away from close scrutiny and appreciate her from a distance… who can say but you, the reader? I’d love to have her hanging on my wall…even if there are a few thing’s wrong with it, it’s still awesome! where would I be able to buy this? It’s been a while since this figure has been released, so your best bet is aftermarket sources such as Mandarake, Yahoo Japan Auctiona and EBay.